A Jackson, Minnesota landlord is facing a lawsuit for renting a one-bedroom apartment with a stipulation limiting the unit to only one person. HUD announced it is prosecuting the case on behalf of a woman with a young child who was turned down for the rental. She claims the landlord told her he preferred not to rent to families with children. The landlord allegedly said that he had rented to families before and it just doesn’t work. During HUD’s investigation, the owner admitted that he told the woman he preferred to rent the apartment to adults, not families with children. Two weeks after turning the woman down, the owner rented the apartment to an applicant with no kids. The lease included a provision limiting the unit to one person only. Refusing to rent housing to families with children is against the law unless the property legally qualifies as housing for older persons, said Bryan Greene, HUD’s Acting Assistant Secretary for Fair Housing and Equal Opportunity. HUD will continue to take action against property owners who discriminate against prospective tenants because of their family status. 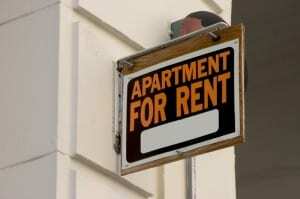 If the landlord is convicted, he could be ordered to pay monetary damages, fines, and to change his leasing policies. If the case goes before a federal judge, the landlord may also face punitive damages.